This program has a decent wizard interface and good localization support. Its file recovery performance is quite impressive for a new program on our list: the best performance in recovery from an emptied Recycle Bin, and its other test results are adequate. That is why it scored forth in file recovery performance, ahead of Raise Data Recovery, but its lack of many recovery features sets it back to fifth place overall. Individual file and file mask search. Search only for certain file types: all files, pictures, video, etc. A file data filter. File sorting by file extension, time, and size by clicking column names. Manual mark for recovery. Scan type can be specified: Formatted Disk Recovery, Lost Partition Recovery, etc. The program doesn’t show scan progress which is extremely inconvenient for large disks. Scan results cannot be saved. Supports raw file recovery with a pre-defined file signature set. Recovers file names and the folder structure. No support for disk parts or regions. Languages supported: 10 languages: English, French, German, Portuguese, Italian, Spanish, Dutch, Japanese, both Chinese. Language management: Languages can be changed on-the-fly. Only disk scan and file preview can be performed. The built-in previewer can show Microsoft Office (doc, docx, ppt, pptx, xls, xlsx) and Adobe Acrobat (pdf) documents, graphic (jpg, png, tif) files. No video or audio files could be played back. After Deleted Files Recovery: All files and folders were successfully recovered with correct original names, except 1 avi from the disk root folder. After All-Around Recovery: The avi file could not be successfully recovered. External Devices Recover All files and folders were found in their correct places. Their names were generally correct, although many files and folders had ‘_’ as their first character. All files were recovered successfully. After Deleted Files Recovery: All files were found in their original locations with incorrect file and folder names. All were successfully recovered. After Deleted Files Recovery: One folder and all files from the device root folder were found in their original place. The folder contained all its subfolders and files with correct names. The _ folder in the Recycle Bin contained the rest of the initial folder/file structure with correct file names. All files were successfully recovered. After Deleted Files Recovery: All files and folders were found in their original places. All these files were successfully recovered. After Formatted Disk Recovery: Some remnants of the previous file system were found in the Lost Location section. All files and folders from them were successfully recovered with correct names. After All-Around Recovery Files from the disk root folder were found with incorrect names and successfully recovered. All files were successfully recovered, but the folder structure was not. After Formatted Disk Recovery: Some remnants of the previous file system were found in the Lost Location section. Almost all of them were successfully recovered. After All-Around Recovery: Many raw files were found. Some were successfully recovered. Files that could not be recovered: 2 jpg, 2 mp3, 3 pdf, 6 doc, 3 docx, 2 xls, 4 xlsx, 6 odt, 2 ods. After Formatted Disk Recovery: Some remnants of the previous file system were found in the Lost Location section on the exFAT file system. All of them were successfully recovered with correct names. After All-Around Recovery: Files from the disk root folder, except the avi file, were found as raw files. They were successfully recovered. Files that could not be recovered: 1 avi. After Formatted Disk Recovery: Nothing was found. 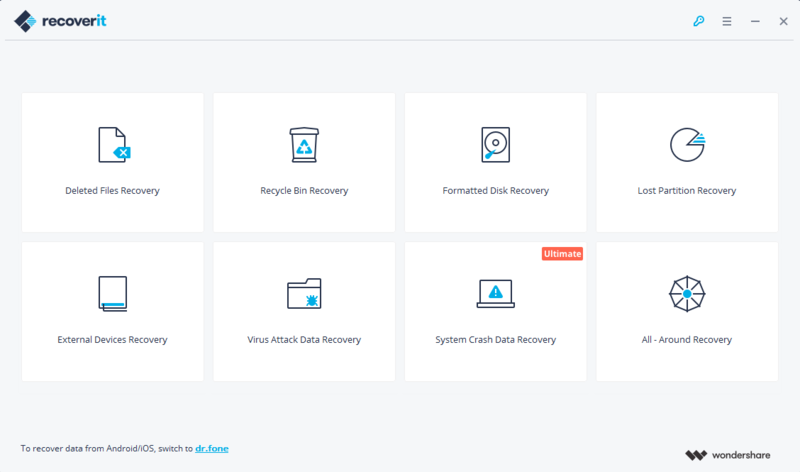 After All – Around Recovery: Only some raw files were found. Files that could not be recovered: 1 mkv, 1 avi, 4 mts, 1 pdf, 2 xlsx, 6 odt, 2 ods. After Formatted Disk Recovery Nothing could be found. After All-Around Recovery: Only raw files have been found. Some could be successfully recovered. Files that could not be recovered: 84 jpg, 36 png, 1 mkv, 22 avi, 1 flv, 1 m4v, 2 mov, 5 mp4, 1 mpeg, 4 mts, 70 mp3, 10 pdf, 6 doc, 12 docx, 2 xls, 4 xlsx, 6 odt, 2 ods, 1 zip. All-Around Recovery of the partition: Nothing was found. After Deep Scan of the device: Only some raw files were found and some of them were recovered successfully. Files that could not be recovered: 1 zip, 4 mts, 62 mp3, 1 doc, 1 docx, flv, mpeg, 2 pdf, 2 xlsx, 6 odt, 2 ods. After All-Around Recovery: An Unformatted partition was found containing all files and folders with correct names. Everything was successfully recovered. After All-Around Recovery of the partition: Nothing was found. After All-Around Recovery of the entire hard drive: A FAT32 partition was found. It contained some docx and xlsx files with correct names in the Lost Location section. All were successfully recovered. Some more docx files were also found as raw files after deep scan. Overall only 14 files were recovered. After Lost Partition Recovery the program started searching for deleted partitions on all disks, which greatly increased the processing time. In addition, the program didn’t show the progress. After All-Around Recovery An exFAT partition was found containing all files and folders with correct names. Everything was successfully recovered. After All-Around Recovery A Partition1 exFAT was found containing all files and folders with correct names. Everything was successfully recovered. After All-Around Recovery An NTFS partition was found containing all files and folders with correct names. Everything was successfully recovered. After All-Around Recovery Partition1 FAT32 was found containing all files and folders with correct names. Everything was successfully recovered.